Their goal is to have a machine at Texas Pinball Festival! 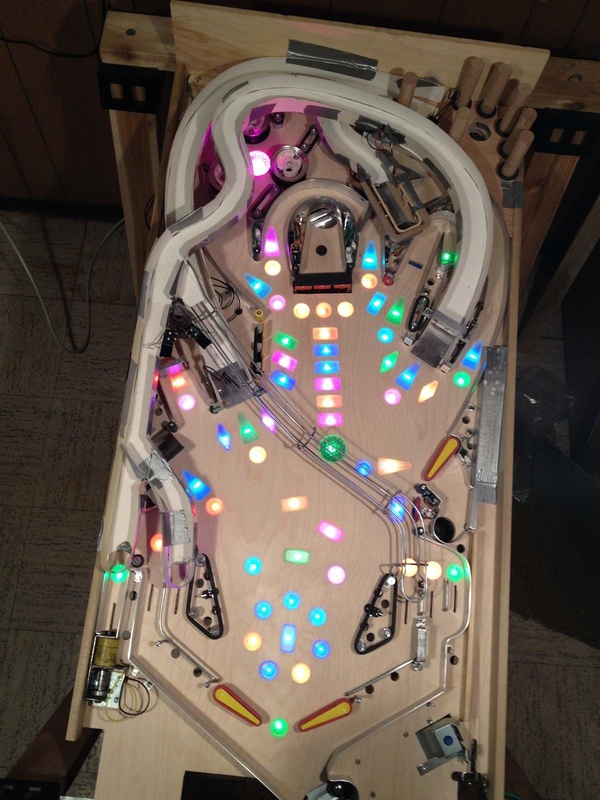 Heighway Pinball collapsed back in April of 2018 – here is a timeline of the fall of Heighway Pinball and statements from of those involved. Before the collapse they had pursued an Angry Birds theme – click here to see the proposal. 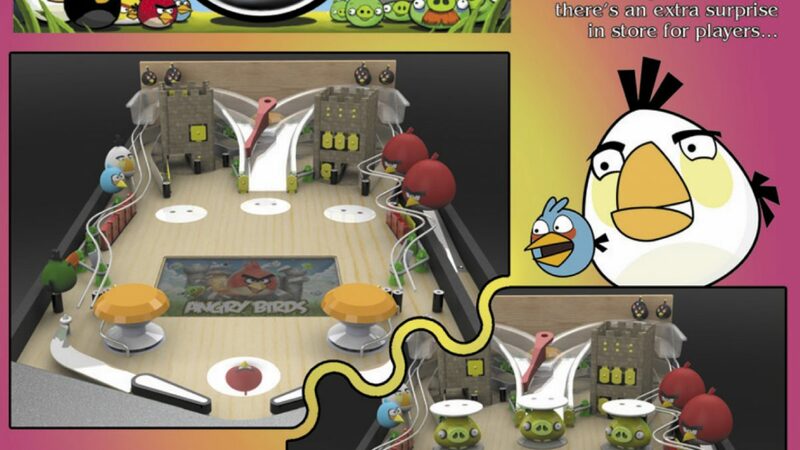 I was positing the merits of an Angry Birds pinball as far back as 2009, so the license was ultimately my idea, as was the bulk of that pitch document work, with Phil Dixon providing the renders. That was very early on in the Heighway days, it was still 2012 when that was put together. I’ve already said this elsewhere, but it fell through not because Rovio didn’t like it, but because they wanted to protect their family-friendly image and insisted the machine couldn’t go into any adult-orientated establishments, and we couldn’t possibly guarantee that. It was also suggested on Pinside that Heighway was pursuing the license for Michael Jackson. 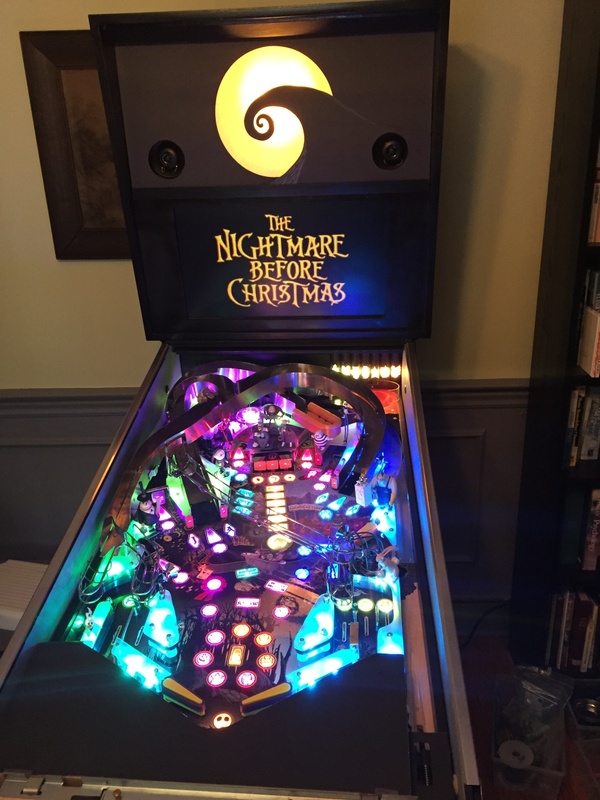 Our friend Obital Albert at the Pinball Nerds podcast recently interviewed the creator of the homebrew machine Nightmare before Christmas! Before getting into the interview, CONGRATS to Obital Albert for his 100th episode of the Pinball Nerds podcast!! It is all based around the movie. There are three different mode trees, like scenes like in Ghostbusters. One is holidays, there are seven holidays you can start. Then there are all the different characters, from the doctor to Jack to Sally…and then there is another mode tree which is the Oogie Boogie modes. That is right up the middle, kind of like the Attack from Mars drop down gate. Shoot that and it will start different modes that are kind of sequential to different scenes in the movie. And each one of those mode trees has a mini-wizard mode…then once you’ve completed those, there is a final wizard mode where – the mode is called Make it Snow, and you have to turn all the lights on the machine white by hitting every switch multiple times. During one league night we were getting frustrated on a game with hard to make ramps. That’s where the inspiration came – it would be nice to be rewarded for the attempts. So, I said I’ll add something to my game. So, what happens is the game keeps track of half ramps – failed ramp attempts – entry switch hit not followed by an exit. After a certain number, you’re awarded with the “secret” “you need to practice the ramps” – 3 ball multiball. The goal of the mode is to shoot the ramps. Half ramps scores little jackpots, completed ramps big jackpots. It was great at Expo watching the surprised expression on one of the player’s face when the mode started. The display changes with the new music track and then the cow sound effects start. Fun mode. Charlie: We’re all about Alice Cooper now. The code is getting phenomenal – the werewolf mode is so cool…between myself and Bowen and Fawzma and Mr. Danesi, he’s got a game, he’s kind of helping us chug through it, the code is getting fan-freaking-tastic…I’ve never been this excited about code. I love the code in this game…This is getting to a level that I don’t think we’ve been to before and it is really really fun. The modes in it are to the point where they’re very easy to understand, but there is so much to do. Bug: My number two – I almost picked my number two almost exclusively because I feel like Zombie Yeti would kill this artwork – Killer Clowns from Outer Space. Charlie: Oh dear mother of God…I don’t think that is one that…yeah, I think you could do better than you think with that game. Bug: You really think so? Charlie: I would like to find out someday. Charlie: Everything in that game works for a pinball machine…I think you’d be surprised. Charlie: Really? Oh come on. We’ve got the younger horror generation with Bug here who is all into pinball and of course myself being older. And our animator Mr. Van Es is a huge horror fan from the other side of the planet. And we might even be talking to another pinball guy who is a bonified horror nut. We should do something with all of us. But we’ll see where that goes. That is all we’ll say. 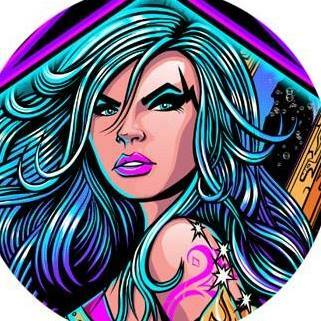 Our friend Mrs. Pin of the Mrs. Pin’s Pinball Podcast discusses a Pinball for Dummies on the North American Championship Series last week on her podcast – check it out here! What happens in Vegas, stays in Vegas! Unless you’ve qualified as a state finalist in the North American Pinball Championships, that is. In which case, everything you do in Vegas is going to be all over Twitch and probably streamed by Jack Danger! This past weekend, competitors across the continent vied for the title of State Champ, which automatically entitles them to a free entry in the main event happening March 28 th in Sin City. 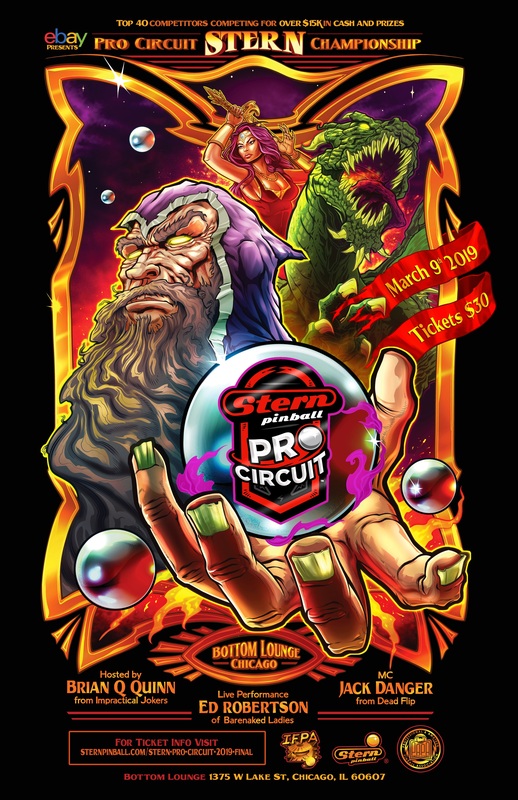 So how exactly does someone start playing in local tournaments and end up at the biggest pinball championship on the continent?? No freaking clue! So we’re digging in and getting down with the nitty gritty of how you qualify, when you compete, and what happens if you actually make it to Vegas. Hold onto your socks! First step, pinheads? Play some serious freaking pinball. You are eligible to compete for the title in the state of your choosing as long as you have participated in at least one IFPA sanctioned event held there throughout the year (side note: skill is required as well). The top 16 ranked players in any given state will go to battle it out for the title of State Champ (check out Episode 53 for my P4D on WPPRs). If your state is seriously into flipping, and hosts enough pinheads in IFPA tournaments throughout the year, your state may qualify to expand your state finals to include up to 24 players. 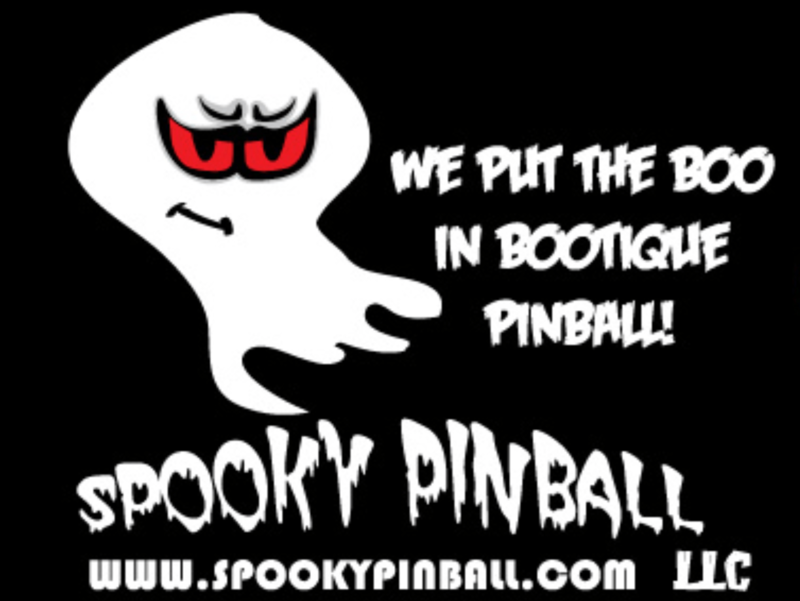 Steven Bowden is a pinhead currently living and working in Texas for Deeproot Pinball. His current IFPA profile shows that he has played in tournaments all over the world, including in PA, NY, MA, TX, DE, and even up in Canada. So where does he play in the state finals? He gets to choose! And the drama of picking can get real, as people often wait to see where other players are registering to play BEFORE they make their own decision to better their chances. After all, everyone is striving for the big W! I’m certain that IFPA President Josh Sharpe just loves these dramatic, last minute, on-the-fence decisions, especially since players are given until a week before the tournament to declare the state they’ll be playing for. The anticipation situation is seriously TENSE! For 2018, Bowden opted to head up to the great state of NY, which was one location where he ranked within the top 16 players in the state. This past weekend he faced his competitors in head-to-head battles (each round is a best of 7 games format), until one victor claimed the title of NYS Champion. This honor was taken in the end by the current #1 ranked player in NYS, Alberto Santana. Even though he didn’t win, Steve is still heading to Vegas in March! How is this possible, you ask? 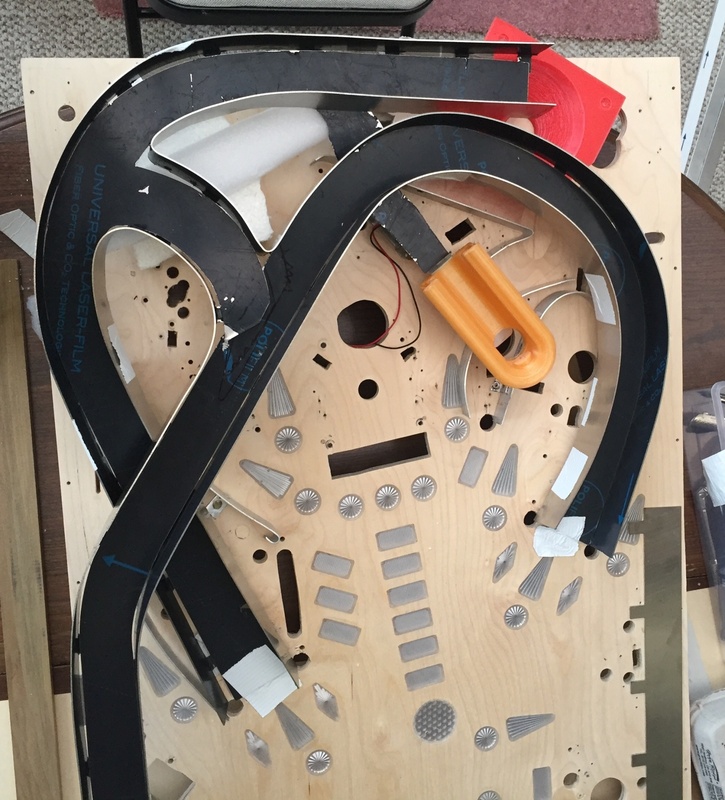 Although heading to the North American Pinball Championships is a hard earned prize, it’s also a time consuming, costly endeavor. Alberto cannot make it to Vegas this year, which gives the #2 winner the option to attend. This is certainly amazing for Steve, as he happened to be the second place NYS finisher, and happily agreed to represent the Empire State! Booyah! Go Bowden! So now that you’ve made it to Vegas, what the heck happens? First, you travel to Nevada at the end of March. Players often use winnings from their state championship to offset the expense of traveling across the country to compete (unless you’re representing Arkansas this year, in which case your $4 winnings aren’t going to get you far). As the winners of each state, the entry fee into the tournament has been waived, but players still have to get there, and have a place to crash. The reward is worth the effort, though – the North American Pinball Champion will take home a NIB Stern pinball machine! And none of the 53 potential competitors from the United States and Canada will leave Vegas empty handed. Even the last place finisher takes home some cash! The format of the North American Pinball Championships mirrors that of state finals: players compete in head-to-head, best of seven game matches. Some of the top seeded players (this time determined by state ranks, and then WPPR points if necessary) receive a “bye” in round one, which means they automatically move on to round two without having to actually compete in round one. Similar to the format of NCAA March Madness, higher seeded competitors are paired initially against those with lower rankings, and also get to select the machine they’ll be competing on (#itpays2win!). Just like in March Madness, upsets happen! You definitely won’t make it to Vegas playing like Mrs. Pin, and competition is sure to be fierce! The 2018 state finals tournaments were nail biters! Kansas’ 2018 state champion is the first EVER female to make it to the main tournament in Vegas, and is the WOMP from Episode 54, Ms. Keri Wing! This lady plays like a ninja, so it’s no surprise that she also qualified for the IFPA Women’s World Pinball Championship. The top 16 WPPR ranked female players will be invited to compete in a tournament the same weekend as the NAPC in Vegas, and 8 additional ladies will play in wild card spots based upon their women’s world ranking. That makes 24 WOMPs competing for a NIB Stern Pro! March 28 th will be here before we know it! Stay tuned for more Pinball for Dummies articles related to competitive tournament play, machine basics & troubleshooting, and more exciting tutorials from yours truly! Keep spreading the pinball love! Zombie Yeti also shared more about the Deadpool machine on this article on Behance – check it out! A petition to make August 1st National Pinball Day was started recently by pinhead Joe Ciaravino! 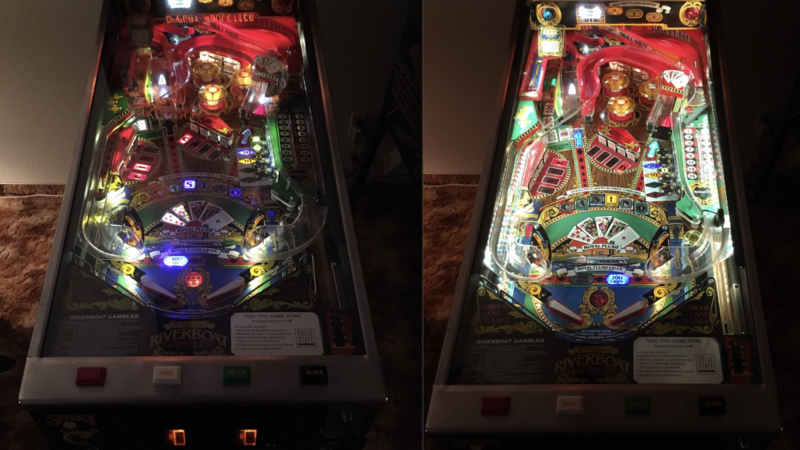 One of the winners of Pin Stadium Lights from the monthly giveaways we do here at This Week in Pinball shared his River Boat Gambler before and after pics on Pinside last week – check it out! In the only good thing to happen during the Super Bowl, Toyota had a commercial for the Supra that was pinball themed! Check out the commercial here. They had a similar themed commercial in the 80s – check it out here. It is very 80s. Last week we saw a Prototype Twilight Zone go up for sale on this Pinside post. 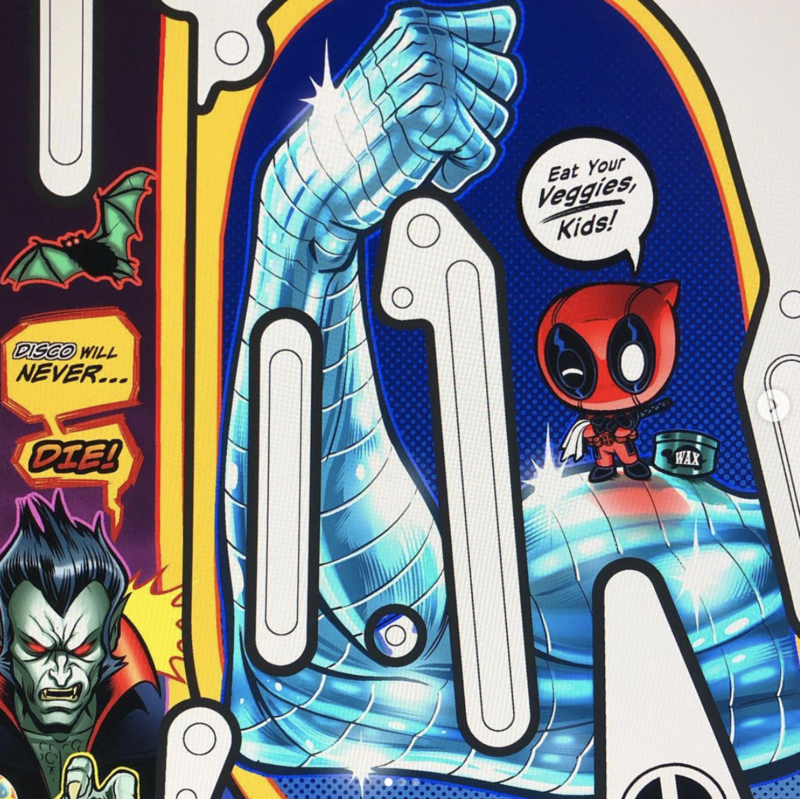 Seems like it is priced a bit high at $65,000, but it is a cool piece of pinball history! Last week we also saw an Alien Limited Edition go up for sale on Pinside – check it out! Sounds like the coolest camp ever! 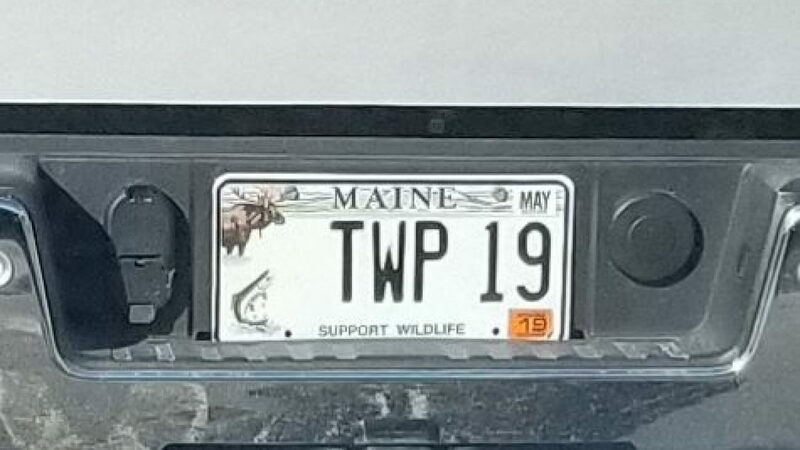 A huge thanks to Jeff Parsons of The Pinball Players Podcast for sharing this pic of a TWIP license plate! This can only mean one thing – 2019 is going to be a great year for TWIP and pinball!! Congrats to Bruce Nightingale of the Slam Tilt Podcast on 21 years cancer free! Congrats to the Pindigo App, for hitting 100,000 posted scores! I love Pinball and Cats shirt from Amazon! Article: A pinball, bocce, foosball, ping pong and duckpin bowling bar is coming to Mass Ave.
Next Next post: January Giveaway Winners, February Pinball Giveaways Announced – Enter Now!